Lake Killarney is a 80 acre glacial lake located in McHenry County, northwest of Cary, Illinois. The lake has a maximum depth of 40 feet, an average of 10 feet, and a storage capacity of 345 acre-feet. Lake Killarney serves as a recreational lake. Swimming, fishing, row-boating or canoeing, and sail-boating are the major uses of the lake. Access is limited to organization member who have paid their yearly assessments only. We have 2 beaches, East Beach and West Beach. Both beaches are accessible to residents who have paid their yearly assessments. Beach bracelets must be with you at either of the beaches. Lake Killarney is a “Catch & Release” lake. 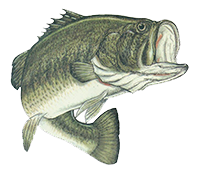 The lake is stocked yearly in the fall with Walleye, Large Mouth Bass, Small Mouth Bass, and Northern Pike. Residents practice catch and release to assure the fish stay plentiful. 1. Valid Illinois Fishing license. 2. Access is limited to organization members only. 3. No fossil-fuel motors of any kind are allowed on the lake. 1. Lake use is restricted to Members, Limited Members and their guests who are current with their assessments. 2. Beach bracelets must be displayed at all time. Anyone not displaying a beach bracelet will be asked to leave association property. if the offender refuses, LKHOA may press charges for trespassing with the McHenry County Sheriff. 3. Current LKHOA boat stickers must be displayed at all times. Anyone in a boat that is not displaying a current LKHOA boat sticker will be asked to leave association property immediately. If the offender refuses, LKHOA may press charges for trespassing with the McHenry County Sheriff. 4. No fishing or boating is permitted in the designated swimming areas. 5. All refuse is to be placed in the trash cans provided for this purpose. 6. Batteries used with electric motors must be properly secured while on board (See the IL Boat Registration, Titling & Safety Act Digest sect. 7 para. K). Batteries will not be stored with boats, on association property. Any battery found stored with a boat, on association property, will be removed and disposed of, with the offenders special use sticker being revoked for the calender year. 7. All Members and Limited Members using electric and wind driven vessels must show a certificate of insurance with their request for a “special usage” boat sticker. 8. Anglers are required to have a valid Illinois fishing license and must adhere to current state fishing regulations as well as any additional rules established by LKHOA. 9. One coast guard approved flotation device is required for every person in a boat. 10. No anchoring to an aerator or an aerator line. 11. No lewd or obscene conduct or language will be allowed on the lake. 12. Beach monitors and residents that are up to date on assessments have the authority to enforce the rules on behalf of the Lake Killarney Home Owner Association.